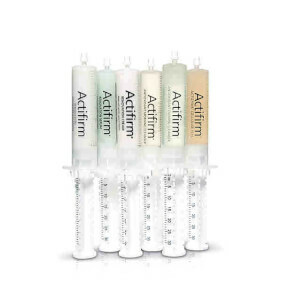 Actifirm carries a line of skin care products that not only help enhance the beauty of the skin, but they also have ingredients that improve the skin's overall health. One of the most popular Actifirm Skincare products is Renovation Serum. This product works by restoring damaged tissue and strengthening the skin. It also helps moisturize the skin. The active ingredients in this product are green tea, gotu kola and squalane. Diva Divine, a SkinCareRx customer, had the following to say about this product: "This is a good line if you want results you can see."